Saft LS14250 batteries are 1/2AA size and 3.6 volt. These Saft LS14250 batteries are the plain cells and don't have any solder tags, PCB pins or axial wires attached. 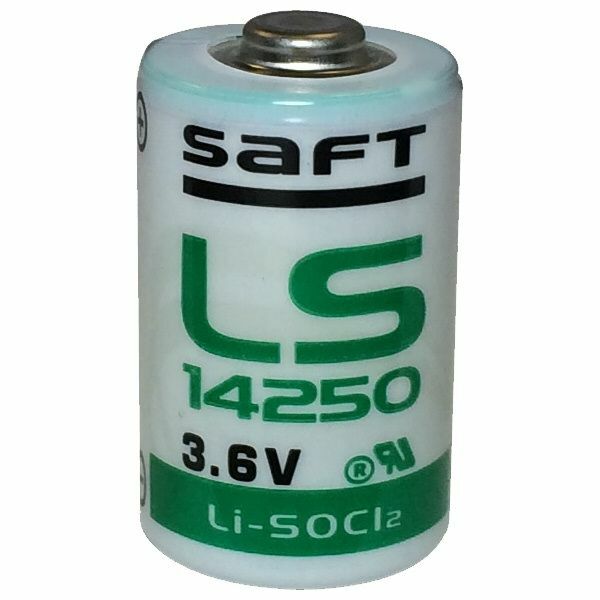 Saft LS14250 batteries are lithium thionyl chloride LiSOCl2 and are also known as LS-14250 LS 14250.